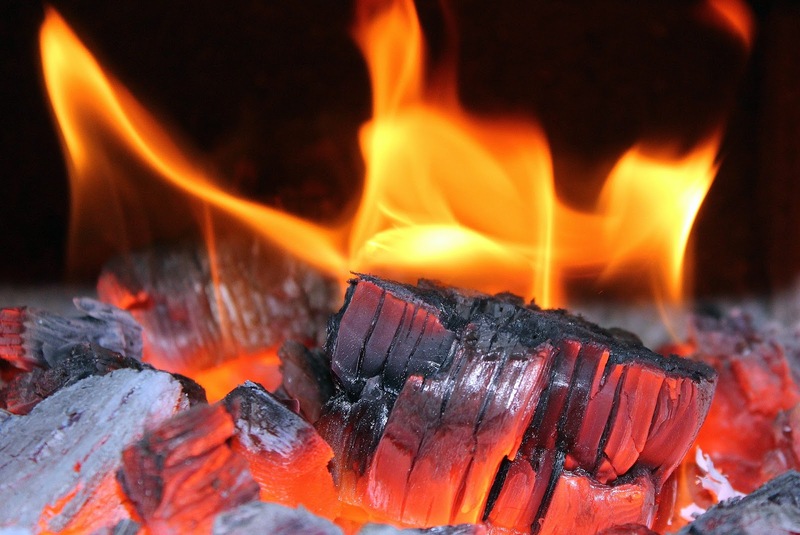 If you have a wood-burning fireplace in your home, you’ve probably been using it quite a lot this winter. And that means you’ve had to deal with disposing of the ashes that accumulate after each fire. Instead of tossing those ashes, here are a few clever uses for repurposing them. Just keep in mind that ashes stay hot well after a fire burns out. Store and cool ashes in a metal container for at least four days before using. Instead of salt, which contaminates the soil, sprinkle ash on driveways to aid in tire traction. You can also keep a bucket of ash in your car for emergencies when you get stuck in the snow or on ice. Summer will be here before you know it. Do you have problems with slugs in your garden? Those pesky critters just love to attack my tomato plants. Turns out you can sprinkle ash evenly around your garden beds to keep slugs away from your flowers and vegetables. And speaking of gardening, ash tea is a great fertilize for your houseplants. Make a “tea bag” by filling a cloth bag with ashes. Tie securely with string. Steep the “tea” bag in 5 gallons of water for a few days. Use the “tea” to water your plants. Ashes can also be used to polish metal. Mix up a cup with a little bit of water to make a paste, and rub it on the metal. Have you ever spilled cooking grease or oil from your grill on your cement or stone patio? Wood ashes to the rescue! Pour ashes on the spill, then rub it into the stain with a cloth. The ash will absorb the grease or oil. Finish by wiping off the ashes. If you’re like me, you’re probably sick of winter by now and can’t wait for those first signs of spring to emerge through the soil—crocuses, daffodils, early blooming tulips. The other day I was so depressed by the ongoing frigid temperatures and all that white stuff covering the ground that I decided to take matters into my own hands. If spring wouldn’t pop out of the ground, I’d force it to make an indoor appearance. All it took was a quick trip to the craft store. This project took me less than five minutes and is a craft project that every person who claims not to have any crafting talent can accomplish just as quickly. I chose a large, hinged-lid canning jar as my container, primarily because I happened to have one, but you can choose any clear glass jar or vase. I always save the crinkle paper that comes in gift baskets I receive, but if you don’t have any, you can purchase some at a party or craft store. Excelsior will also work, or you can just crinkle up a few sheets of colored tissue paper. Choose any floral stems from the craft store. For the size container I used, I purchased three bunches of tulips. You may need more or less. If you don’t have any fabric you can use, purchase a “fat quarter” at your local craft store or fabric store. Fill jar with excelsior, crinkle paper, or crumbled tissue paper. Size of jar will determine length and width of fabric. Cut a piece long enough to tie into bow around neck of the jar. Fill jar with floral stems. 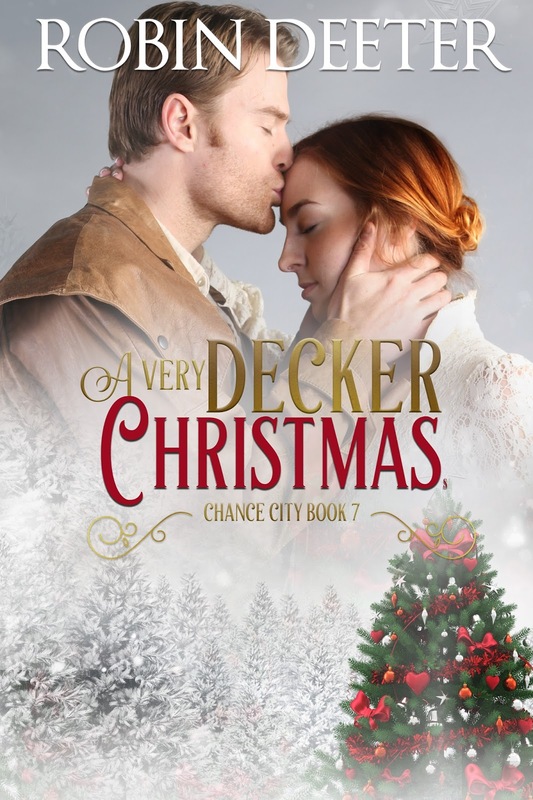 Today we sit down to talk with Johnny Decker, hero of Robin Deeter’s Chance City series. It was both good and bad. My ma and I were always close, but my father wasn’t a nice man. We were always happiest when he wasn’t home. They were killed in a tornado and I was alone for a while until Robin brought me to Chance City. My loyalty to my family and friends. I’m always in a rush, and that sometimes gets me in trouble. Be contacted by a spirit who disappeared when she went behind some bushes to relieve herself. We argue about lots of stuff. What I’m gonna do next or how I’m gonna handle something. It sounds boring, but I love being with my family and running my woodworking business. I’m a pretty simple fella and that’s all I need to be happy. My mother’s death. I miss her and wish she were still alive. She’d have loved Chance City and meeting our other family. I’m not real fond of Hector Ruiz. He sometimes works for my cousin Cy, who is a detective. There’s just something about him that rubs me the wrong way. Honestly, I’m really happy being me. I love my friends, but I don’t want their lives. I argue with Robin (so do the other characters) because she wants to put out the best stories possible for all you readers. If she didn’t care, she wouldn’t fight with us so much. You can visit her website, to find a list of all her books and links to her social media sites, too. 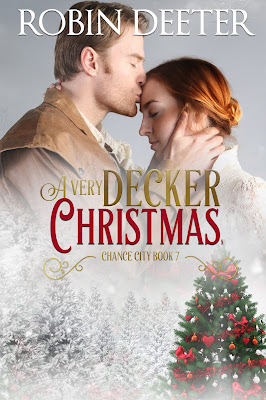 Well, I’m working on finding a wife, so hopefully I’ll find Mrs. Decker soon since my story, A Very Decker Christmas is coming out soon. Thanks for visiting with me a little while. I really enjoyed it and I look forward to “seeing” you all again. Johnny Decker has been searching for a bride for two years but has struck out at every turn. What is he doing wrong? He's a decent, kind man, with a thriving business and a home in which any woman would be proud to live. None of that has helped him snag the next Mrs. Decker, though, and he despairs of finding her. Can some assistance from an unlikely source bring him the happiness he craves? Will the magic of the Christmas season come to his aid or is he doomed to a solitary life? Leslie Wheeler’s mystery fiction includes three novels in her Living History Mystery Series, and short stories that have appeared in several anthologies. 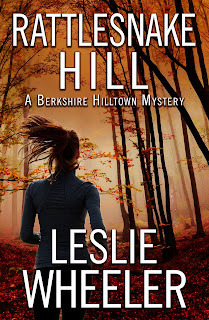 Rattlesnake Hill is the first book in a new series of Berkshire Hilltown Mysteries. Learn more about Leslie and her books at her website. Location is important in books, as well as real estate and movies. For me, setting, rather than character, is where a book begins. I choose settings that interest me or that I love because I know I’m going to spend a lot of time there. 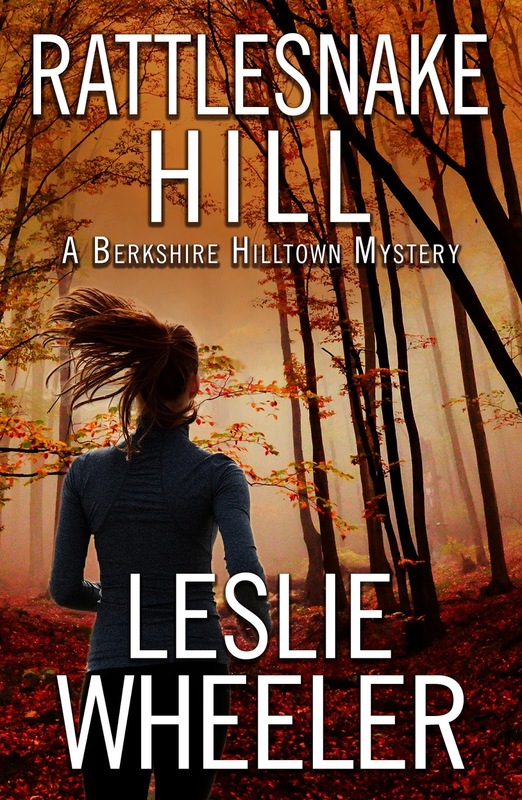 For my current book, Rattlesnake Hill, the Berkshire Hills of Western Massachusetts was an obvious choice. I not only love the area but know it well, having lived there for many years. But which Berkshires? The one that draws tourists and wealthy weekenders in the summer for numerous cultural attractions, as well as chi-chi shops and restaurants, and again in the fall for brilliant foliage? Or the Berkshires of small towns and villages off the beaten track, where people whose families have been there for generations eke out of lives, not necessarily of “quiet desperation,” but sometimes close to it? “Main Street [of Stockbridge] was decked out with boughs of holly, pine wreaths, and Christmas lights in readiness for another holiday a la Norman Rockwell . . . Even on a weeknight in December, visitors strolled along the sidewalk or sat, bundled in fur and down, on the porch of the Red Lion Inn, sipping hot chocolate and hot buttered rum. Which brings me back to another important element of setting: people. Small towns in rural areas are places where everyone knows everyone else’s business, and strangers are not readily welcomed. 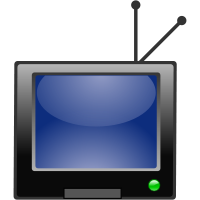 Kathryn Stinson discovers this when she starts asking questions about an event in the distant past. And when she seeks answers to a more recent mystery: the murder of a woman who once occupied the house she’s renting, her neighbors become openly hostile. So why does she stay? In part because she’s stubborn and is determined unlock the secrets the locals are withholding from her. 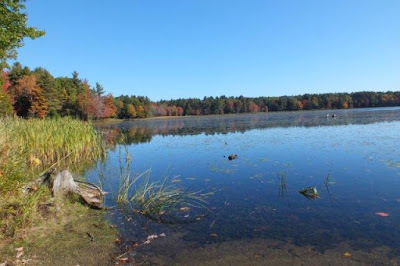 But another part has to do with the area’s great natural beauty. From her very first view of the landscape outside the house she rents, Kathryn is enchanted by its loveliness. Throughout the novel, Kathryn finds peace but also draws inner strength from her surroundings. It’s why I’ve stayed in the Berkshires, too. 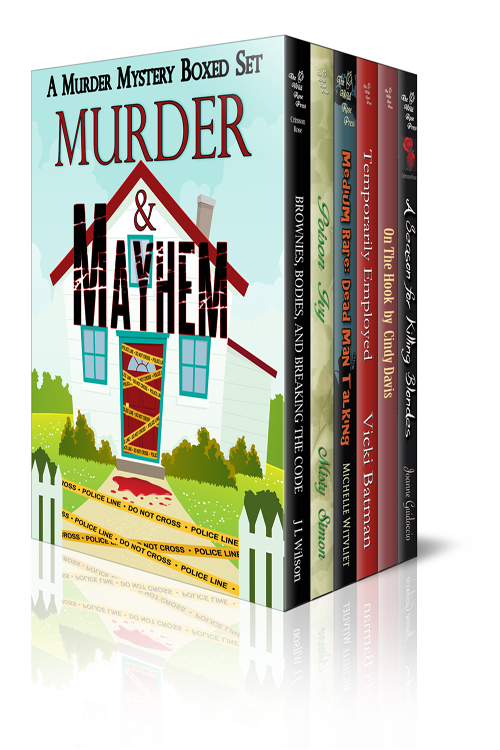 Small town postmistress and amateur sleuth Cassie Miller, star of the Postmistress Mysteries by Jean Flowers, sits down with us today for an interview. I was happy in Boston, working at the main post office, engaged to a great guy (until my author turned him into a jerk who texted me our breakup). I'm a pushover for whoever's nice to me. Solve three murders, putting my life in danger! See above, putting my life in danger. Also see above, turning my fiancé into a jerk. Ending up alone and unloved. Reading about postal history and trivia, like the fact that at one time you could mail children! I'd probably stay in Boston because there's more going on after sundown. My friend Linda, because she bugs me about returning to Boston. And it bothers me because I'm still not sure I did the right thing moving away from the city. My friend Sunni, the chief of police because she has the most interesting job, most of the time. Jean Flowers is really Camille Minichino. I think. 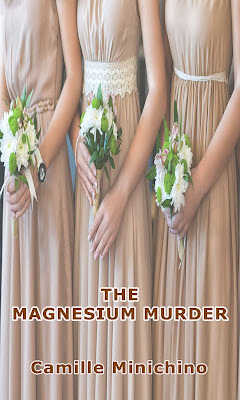 She may be in witness protection because she has two other names, too – Margaret Grace and Ada Madison. They all hang out at www.minichino.com and blog every Thursday at www.minichino.com/wordpress. 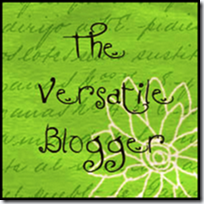 Sign up for her monthly newsletter. 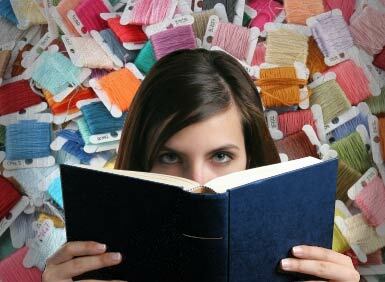 She always has a puzzle or riddle and constantly declutters by turning everything into swag for her readers. I don't know exactly what Jean Flowers has in mind for me, but after writing 25 novels in 20 years, she's having a great time with shorter pieces. I may appear in a novella soon. 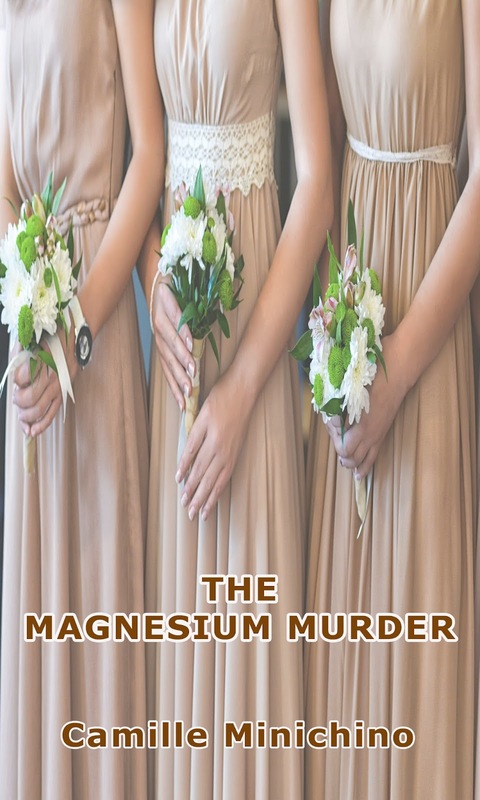 In this novella addition to the Periodic Table Mysteries, freelance embalmer Anastasia Brent is summoned to prepare the body of a young woman—a bride-to-be, and a suspected murder victim. Anastasia is pressed into service by her mortuary employer to investigate the suspicious death. Anastasia overcomes her own personal stress of moving in with her boyfriend, to follow the trail that leads to justice. Two weeks ago I wrote about various clever ideas for using orange peels. Today I have some suggestions for spicing up your life with cinnamon, a very versatile spice that’s not just for baking snickerdoodles and apple pie. 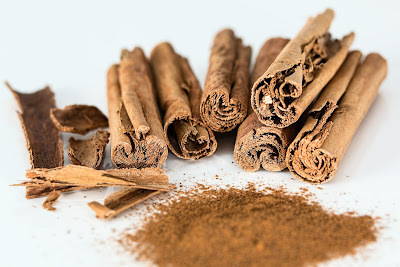 Just as orange peel can be used as a natural insect repellant, cinnamon, combined with a couple of other spices, can be used as a natural moth repellant. You’ll need small sachet bags (available at craft stores), 2 tablespoons ground cinnamon, 1/2 cup whole cloves,1/2 cup black peppercorns. Mix cinnamon, cloves, and peppercorns together. Fill sachet bags. Hang bags in closet or place in dresser drawers. Did you know cinnamon is an antimicrobial? If you’re plagued with athlete’s foot, boil ten sticks in a quart of water. Allow to cool. Soak your feet for twenty minutes. Dry completely. Cinnamon also increases blood flow. Some people believe it helps stimulate hair growth. To give your hair a boost, mix together 1/4 cup honey with 1/4 cup cinnamon. Apply to your scalp and allow to sit for fifteen minutes. Rinse thoroughly. You can use cinnamon to hide scuffs in wooden floors and furniture. Just use a cotton swab to rub some ground cinnamon into the scratch marks. Today is Presidents’ Day, a federal holiday meant to celebrate George Washington’s birthday, which is actually February 22nd, and all the other U.S. presidents. 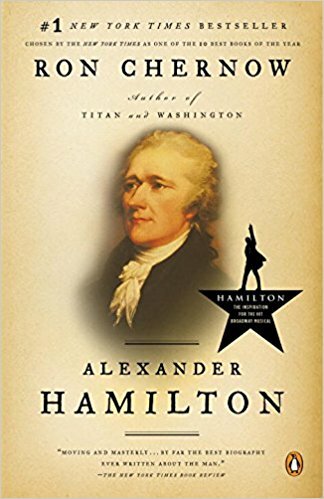 Why, you might ask, have I chosen to illustrate this post with the cover of a biography of Alexander Hamilton, a man who was never president of the United States? I do so because I’m currently reading the book, and although we’ve never published book reviews on the blog and don’t intend to start now, I wanted to talk about Presidents’ Day in terms of what I’ve learned from this book, given that many of the men involved--Washington, Adams, Jefferson, Madison, and Monroe--did become future presidents. Back in the Stone Age, when I studied American history, I thought I was receiving an excellent education. I took Advanced Placement U.S. History at a high school with a reputation for being one of the best in the state of New Jersey. It wasn’t until I began reading Ron Chernow’s biography of Alexander Hamilton that I realized how little I actually knew about the men who founded our nation. I, and I’m sure many other students of my generation, as well as previous generations, were taught that the Founding Fathers were high-minded patriots who worked together toward a common goal--independence. We were taught to respect these men. They were icons. Subsequent presidents are often compared to them and more often than not, fall short of these great men. How often have you heard people lament, where are the great leaders of today? Yes, we knew these men had their differences, the biggest being the states rights vs. federal rights argument, and of course there was the slavery issue, which pitted the colonies of the south against the colonies of the north. But we were taught that these men put personal feelings aside to work on compromises to unify the colonies and create a great nation. What we were never taught (and maybe what high school students today are still not taught) is that these men were just as human and just as flawed as any politicians who have followed. Yes, they reached compromise but not without intense animosity and hostility that led to broadside screeds, Machiavellian maneuverings, and constant backstabbing. Fake news? It’s been around from the very beginning, and you’d be surprised by some of the biggest perpetrators. The book, which is documented up the wazoo with footnotes referencing actual writings from the people involved, is 800+ pages long. I’m only a little more than halfway finished, given my crazy life. If you know anything about me, you know I barely have time to brush my hair, let alone carve out a few minutes of “me” time now and then. I’m juggling two teenage kids, a communist mother-in-law, a boyfriend who may or may not be a spy, a Shakespeare-quoting parrot, and all those dead bodies—not to mention debt greater than the GNP of your average Third World country. Still, I’ve managed to get in a chapter or two once or twice a week. 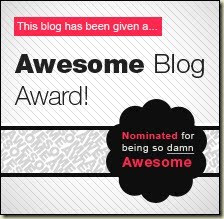 I don’t believe in using this blog as a political platform. I believe we are all entitled to our opinions and beliefs. It’s what makes our nation great. I have friends who believe what I believe and friends who have opposite beliefs. I respect their views and don’t let our differences compromise our friendship. However, no matter on which side of the aisle you find yourself aligned, I think we all agree that we’re living in a time of political turmoil. Many would say it’s unprecedented. What I’m learning from this book is that today’s political turmoil is anything but unprecedented in the history of our nation. That insight has put quite a bit of our current political climate into perspective for me, giving me hope that eventually, as has often happened in the past, our better angels will prevail. And that's why I wanted to talk about this book on Presidents’ Day. #BOOK CLUB FRIDAY--OOPS! HEROINE ACCIDENTALLY ELOPES WITH WRONG MAN! 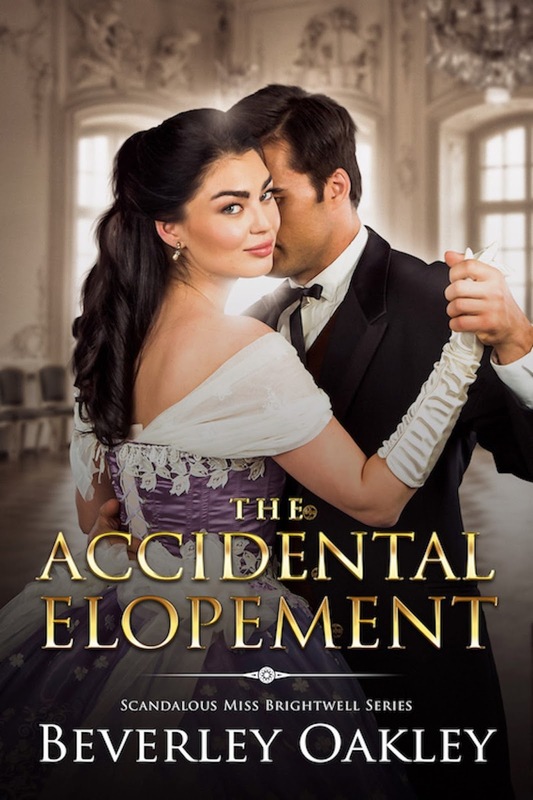 Today we sit down with Katherine, niece of Earl Quamby, from author Beverley Oakley’s The Accidental Elopement. Believe me, I had my life all mapped out. The pinnacle of my ambition was to make the most illustrious marriage possible during my London season. I was beautiful, from a well-connected family (if you disregard my mother’s pre-marriage scandals) and I had three suitors. 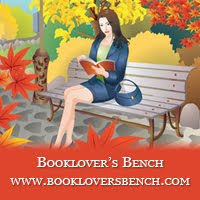 Then my author threw me together with my childhood friend, Jack – a boy from the foundling home – and we fell madly in love. I was furious that she should do that to me – for about five seconds – because truly, I was prepared to cross shark-infested waters to be with Jack. In fact, I nearly did (well, not shark-infested but raging seas). Unfortunately, I got into the wrong carriage. The one that wasn’t taking me to those raging seas I was prepared to cross. And that’s when my life took a very dark turn. Excuse me if I don’t go into the details right now. The trauma is still quite fresh in my mind. I shouldn’t need to tell you that a well brought-up young lady doesn’t advertise her good qualities which should be evident to all her eligible suitors. However, if there’s one thing I secretly like about myself, it’s my love of adventure. I was so lucky to have been able to climb trees with Jack and join him on adventures when we were seven. This was when Jack would be brought over from the foundling home to be a playmate for my cousin, George. But it was Jack and I who found some mischief to get into – and Jack always defended me and took the blame – even if it was my fault. Sorry…I didn’t mean to get tearful but I do miss Jack. Or rather, the fact that he is lost to me and…the fact we’re doomed to be apart. My impulsiveness. Oh, yes, definitely that! If I hadn’t been so foolish and impulsive, I never would have made the biggest, most terrible mistake of my life. I never would have…I’m so embarrassed to admit it because who would do such a thing? 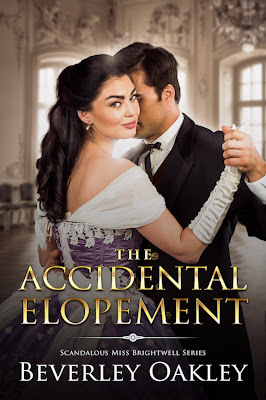 Who would accidentally elope with the wrong person? Strangest? Or do you mean most terrible? Because, there’s no getting around the fact that my author utterly ruined my life! That carriage I got into? How was I supposed to know it had been sent by someone other than whom I assumed had sent it? But I can’t blame anyone other than myself. All this happened seven years ago and I’m not the feather-brained, impulsive debutante I was then. I’m older and wiser – lonelier, too, though I deserve it. But I have a beautiful seven-year-old daughter and she’s my treasure. I argued about the fact that I thought it wasn’t that Jack and I couldn’t be together again after we’d been apart for seven years. After all, I was widowed and Jack was not yet married. But my author said honour had to prevail. She said it was one thing that I’d only just been widowed but quite another that Jack was honour-bound to marry the daughter of his dying mentor whom he’d promised, in the West Indies, he would protect. He’d just brought Odette back from across the seas so how could I expect he’d leave her to marry me? Even though I knew Jack loved me? I suppose I can’t blame him. I was the impulsive one. I brought all my troubles upon myself. It’s hardly any wonder Jack thought I had forsaken him. But I did ask my author if I couldn’t just tell him everything about what had happened and how I felt about him. She said I could but only if I wanted to put him in the impossible position of choosing between his heart and his honourable soul. I’m still trying to find a way to get around that one. That Jack will never know how much I love him. And that he will never learn my secret. I want him to know it – yet I know it would destroy him. Being with my child makes me happy. I lead a quiet life after my late husband ruined my reputation and gambled away our worldly goods so I take pleasure in simple things. I would rewrite the end because I think Jack deserves to be happy but I think I do, too. And we can only be happy together. But Jack is about to marry and then he will be lost to me forever. My author found me in tears this morning. She told me my story isn’t finished yet but I don’t believe her. Jack is marrying so soon. It’s set in stone. His bride-to-be is sweet and worthy and her father is dying. My aunt thinks she has a plan to make her fall in love with someone else, but it won’t work. I must accept that Jack and I are doomed to be forever apart. My cousin George, for sure! He was spoiled and whiney when we were children and he hadn’t changed much when we were eighteen which is when he suddenly decided he wanted to marry me – even though he knew Jack and I were soul mates. Odette, Jack’s betrothed. Because she is the one who will have Jack for the rest of her dying days. But she won’t have his heart. I thought I would take comfort from that but I can’t. I don’t want her to suffer as much as I have for the truth is that she’s a good person. Better woman than I am. It’s just that Jack loves me. And I love him. Beverley Oakley is an Australian author who grew up in the African mountain kingdom of Lesotho, married a Norwegian bush pilot she met in Botswana’s Okavango Delta, and started writing historical romances to amuse herself in the 12 countries she’s lived as a ‘trailing spouse’. She writes historical romances laced with scandal and intrigue and Africa-set romantic suspense as Beverley Eikli. You can read more at www.beverleyoakley.com. What's next for you, the author? She’ll be writing book three in her Fair Cyprians of London series. Each story features a courtesan at Madame Chambon’s elite Soho establishment. Keeping Faith, like the other stories in the series, is based on fictionalized versions of the interviews of the ‘fallen women’ nineteenth century journalist Henry Mayhew included in his study of Victorian vice, London’s Underworld. Sacrificing Charity is about a courtesan who’s been groomed by her protector to be her ‘beautiful weapon’. It highlights hypocrisy and has at its heart a revenge and redemption theme. Beverley Oakley is an Australian author who grew up in the African mountain kingdom of Lesotho, married a Norwegian bush pilot she met in Botswana’s Okavango Delta, and started writing historical romances to amuse herself in the 12 countries she’s lived as a ‘trailing spouse’. She writes historical romances laced with scandal and intrigue and Africa-set romantic suspense as Beverley Eikli. You can read more at her website.